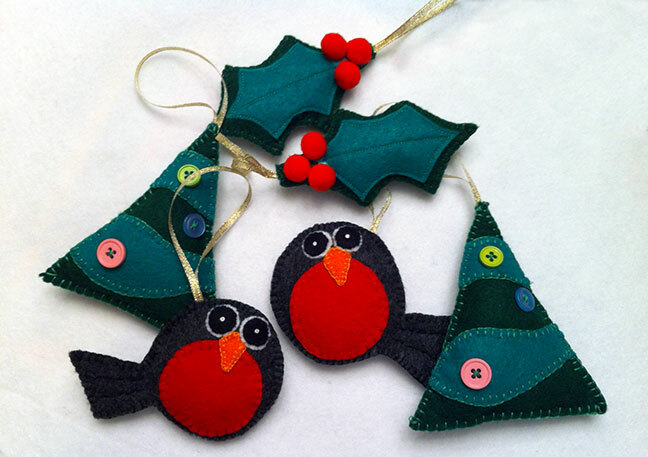 I made some felt ornaments a few weeks ago and never posted much (if anything) about them. They are a bit puffy with some fiberfill but not too much, just enough to give them some dimension. 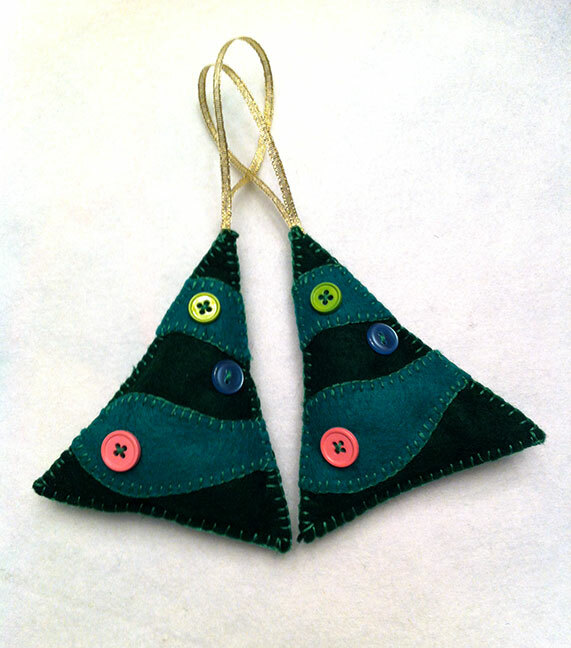 They look a bit blue but are really two shades of green, some coordinating floss and a few buttons. 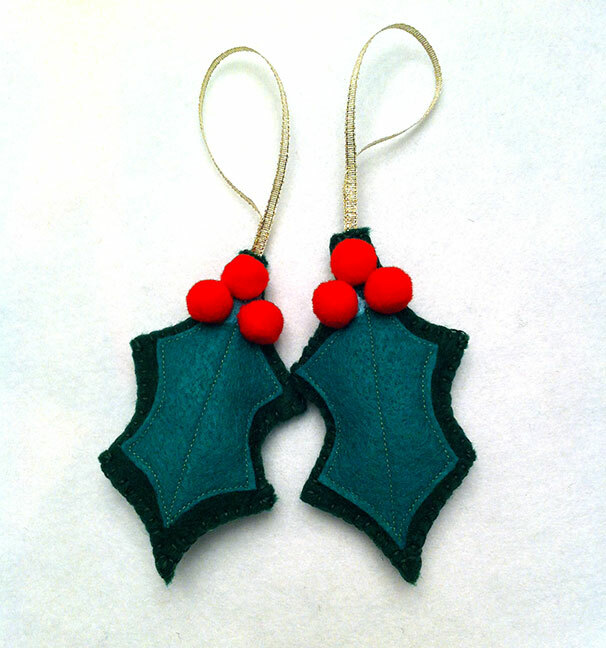 Same two colors of green, coordinating floss and some red pom poms. I decided to machine stitch the lighter green instead of stem stitch as my stem stitch isn’t very good. The pom poms were glued on. You can see the glue but it did dry clear. I’m thinking I should have secured them with a few stitches. Time will tell if I need to do that. I used to paint wooden ones and sell them though they had a bit more detail. If I still have some left, I can show you my inspiration for the felt version. The tree is the largest at about 4-5 inches tall. The best thing is that they are unbreakable. Perfect for curious little hands. This entry was posted in Christmas, felt, finished object, sewing and tagged baby, Christmas, crafts, felt, finished object, ornaments, sewing, toddler by Patti_is_knittinginflashes. Bookmark the permalink. I love them especially the birds. Agreed! The birds are particularly wonderful! The birds are my favorite, too. I should have embroidered my initials and year on the back. You can still add those. 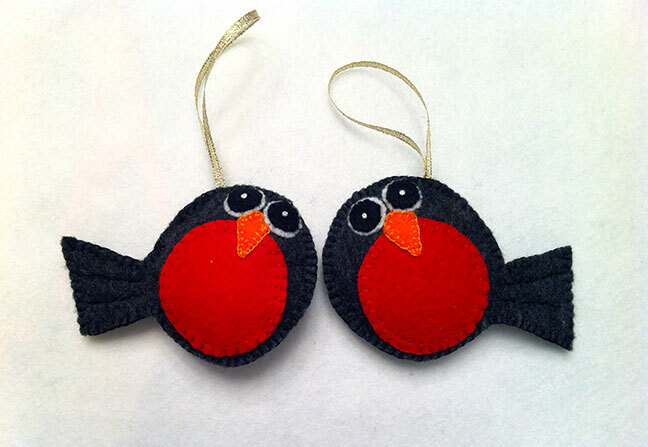 You could also add them with a fabric marker or fabric paint.